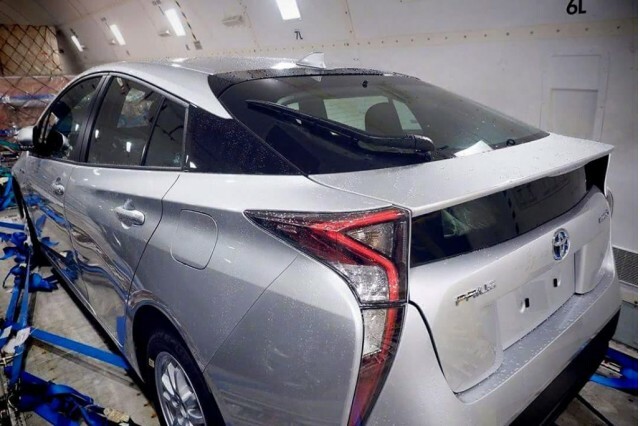 Next Tuesday evening, the 2016 Toyota Prius hybrid will make its world debut in Las Vegas, kicking off what its maker calls "the next era of an icon." "We’re pulling out all of the stops for this exclusive event to celebrate the future of Prius in a truly spectacular way that will be anything but expected," Toyota has promised attendees. 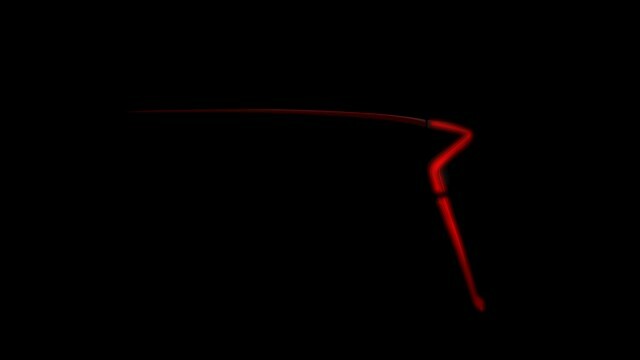 Yesterday, the company released a single teaser photo for the car: a black background with a bright-red squiggle that is likely the car's taillight profile. In a way, you might feel sorry for the months of work that went into Toyota's carefully planned PR blitz. 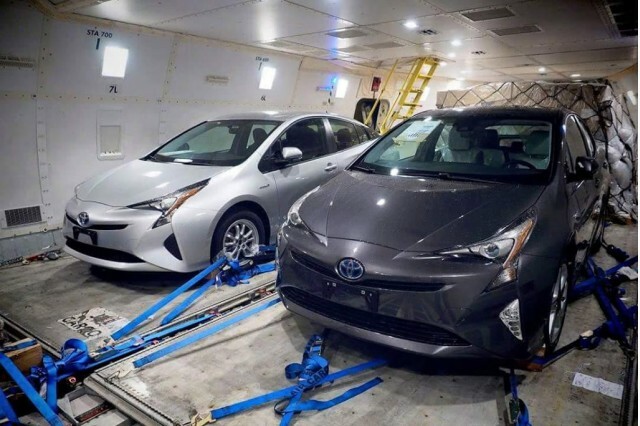 That's because photos of two 2016 Priuses--one silver, one dark grey--were leaked last week on a Malaysian Prius owner's Facebook group; They quickly ricocheted around the world at Internet speed. They were shot in the hold of a cargo plane, leading us to wonder whether they are the cars for Las Vegas next week. With the exterior design public, we'll be interested to see just how much information Toyota releases about the car--since there's no driving opportunity at the event..
Will the interior be as Space Age-y as the current one? Will there be more integrated, less scattershot graphic displays? And will they match up to the graphic quality of those in the latest Chevrolet Volt and Ford's hybrids and plug-in hybrids? The interior of the third-generation Prius is now outdated; it's also full of hard plastics, a smart weight-saving technique but one that's been bypassed by most modern small cars. Will the 2016 Prius interior have more soft-touch surfaces? Will it drop the high "flying buttress" console that offered awkward-to-reach storage underneath, but formed a barrier between front-seat occupants? We note the 2012 Prius V wagon had a more conventional console design. Will the new Prius continue with its 1.8-liter engine? 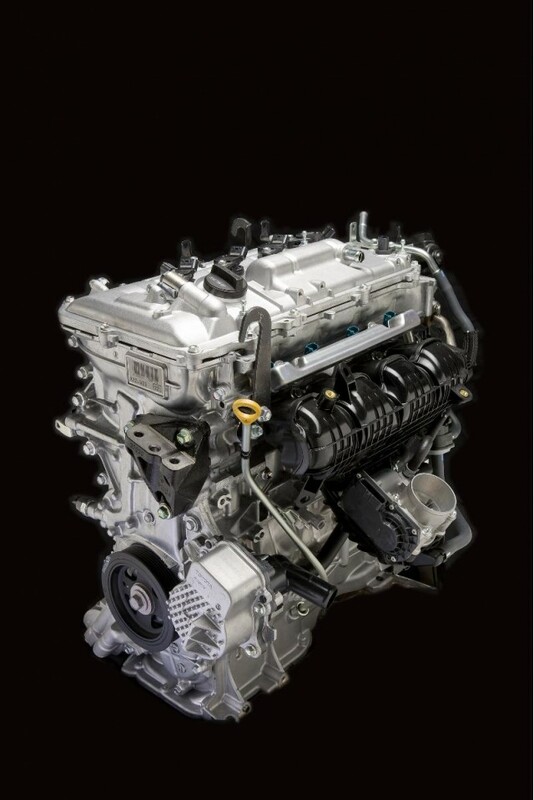 Will that engine be capable of the 38-percent thermal efficiency level Toyota touted in a technical paper earlier this year? It's the powertrain, and its efficiency, that really forms the heart of why most people buy Priuses. That's what keeps it the most energy-efficient car sold in North America without a plug. Will the electric motor offer more power, giving the 2016 Prius more ability to operate in all-electric mode for longer distances and under higher loads? 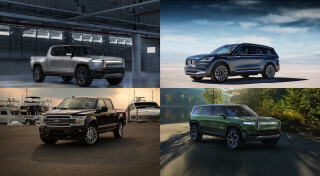 Will all-wheel drive be an option at any point, as has been rumored? The Toyota New Generation Architecture (TNGA) that underlies the Prius has clearly been designed for AWD models of some sort, but will that energy-sucking option be offered in a car with the Prius label? What will the battery pack be? 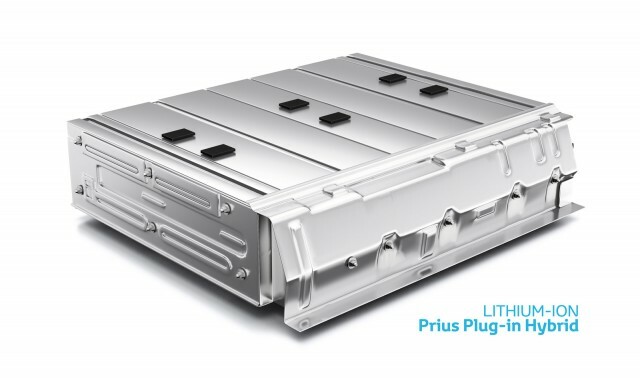 Rumors have suggested that there will be two pack choices, with the base car retaining the current model's well-known but heavier nickel-metal-hydride battery, and a pricier model--perhaps with even better efficiency--that uses a lithium-ion pack. Will Toyota release any details at all on the Prius Plug-In Hybrid, which will lag the conventional hybrid in reaching the market by roughly a year? Recent sources have suggested the new plug-in Prius could offer an electric range of 30 miles or more. And, finally, what will the actual ratings be? We're betting the new Prius will be EPA-rated at 55 miles per gallon, given suggestions by engineering executives more than two years ago. 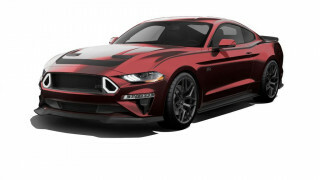 But will there be a more efficient model, perhaps at 60 mpg? Or will that be the rating for the plug-in model? Green Car Reports will have all the details on the new 2016 Toyota Prius as they're released next week.